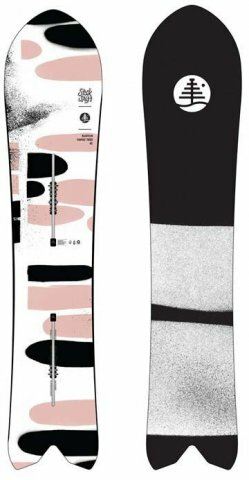 The Burton Stick Shift is mainly for powder but it’s also not bad for those that also want a fun somewhat slashy approach to groomer riding too. It makes for a directional ride but doesn’t make you feel like you have to only ride in that style. It feels comfortable underfoot and inspires you to be creative as well and think outside the box. Although I didn’t get a chance to cruise the Burton Stick Shift in powder, it would be a good board to have around on a storm/powder day but because of its personality could double as an everyday rider if you want. Conditions: some ok Utah light groomer snow with some pretty hard snow like cement underneath. We try to get as many images of the Burton Stick Shift, but forgive us if they're not all there.